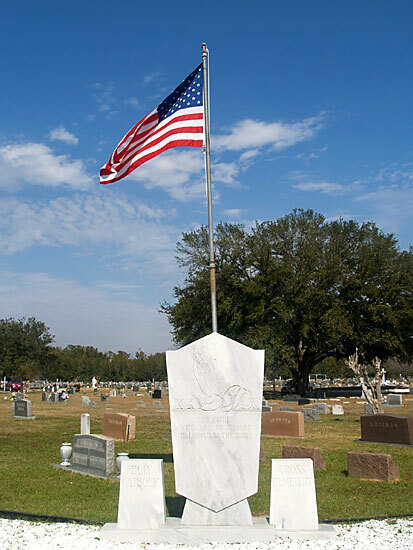 Holy Cross Catholic Cemetery is a non-profit perpetual care cemetery that is owned and maintained by the Catholic Diocese of Pensacola-Tallahassee. This holy ground is blessed by the Bishop. He and the people of the Diocese are dedicated to maintaining the laws, traditions and customs that offer consolation and hope to the families whose loved ones are interred here as a place of final rest. 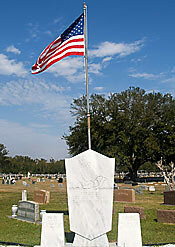 Holy Cross Catholic Cemetery is a plot of 40 acres in the East Hill section of Pensacola, Florida, located at 13th Avenue and Hayes Street. It was purchased in 1914 in anticipation of future needs, and it was developed as a cemetery for Catholic burials in 1942. Today the cemetery serves the needs of the entire Pensacola Christian community. Features of the original design include the Priest’s Mound in which those men who have served the missions and parishes of the Diocese are buried. 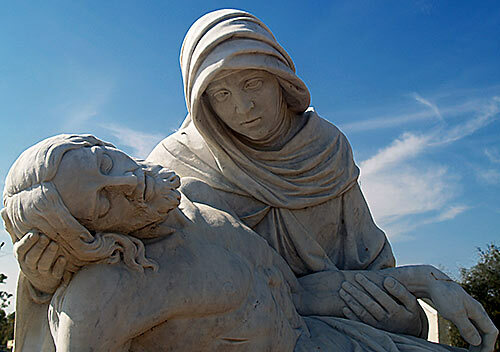 The Stations of the Cross, Pieta and other monuments are tastefully located throughout the grounds. In addition there are several reflection areas which provide a peaceful place for rest and prayerful recollection. The Bishop offers Mass on All Soul’s Day and Memorial Day to pray for those interred here and their families. In 1964 the mausoleum was added for above ground burials. In 1983 the first addition was added. Crypts are available for single, side-by-side and companion burials. The mausoleum provides a resting place with an altar where Mass or a prayer service can be said for the families. Holy Cross Catholic Cemetery is a perpetual care cemetery. Plans for the development of the final acreage will soon be underway. These plans will assure the lasting beauty required for a dignified resting place and memorial for our deceased family members and friends. Our dedicated caretakers are ready to serve, whether it is at the time of need, pre-need or a matter of special concern.